As a serious job seeker, you will face a series of challenges or tasks to be mastered. There are actually a number of ways you might go about finding a job, but you want to do it the smart way and in the most effective fashion, especially if you want great results. You can think of it like taking a vacation in a place you have never visited before. You could just grab a bag and go, but it makes more sense to do some planning, read about the locale, talk to people who have been there, make a packing list, and get some reservations. There are many ways to ruin a vacation. Most of the pitfalls can be anticipated and avoided. What I have found is that when students or clients decide to see me for individual career assistance, they are invariably focused on or stuck on one of these specific challenges. Organization refers to your ability to maintain documents, notes, contacts, correspondence, schedules and appointments in an orderly fashion. The serious job seeker knows that career planning involves developing a significant level of organization around the career planning and job search process. Awareness refers to your understanding of events happening in the world around you. Every day in the news, there are reports about social, political, economic, demographic and technological changes that will impact the labor market and alter the range of occupational choices. Often times, things will change in what seems like a heartbeat. Other trends are slow moving and long lasting. Your challenge is to pay attention to the news and to think about how different events might ripple out in some way that changes the dynamics of the job market. Will an opportunity be created? Or will an industry die? What doors will open and which ones might slam shut? Perhaps you have heard of “the butterfly effect.” It’s the idea that the flapping of a butterfly’s wings will change the atmosphere ever so slightly, and that this seemingly insignificant change could ultimately result in a tornado blowing across some other part of the world. That is what you are looking for as you maintain awareness. Focus refers to the task of gathering information about yourself. In other words: self-assessment. You need to make certain that you understand what you really want to do. Serious job seekers do not start out expecting that they will simply settle on what they thought they were supposed to do or what they think they are qualified for. What you are looking for is the position that will provide you with career satisfaction. 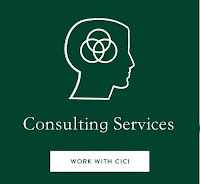 Satisfying work empowers you and plays a critical role in psychological health and well being. Satisfaction depends partly on performing tasks that you enjoy. It involves using the skills and the knowledge that you enjoy using and that you are motivated to use. When you do what you like or what interests you, you are more likely to be successful, and that leads to greater satisfaction. Satisfaction at work also comes from employment that is consistent with your needs, values and priorities. Different things are important to different people, and at different career stages. Your career should satisfy both your short term and long term goals. Somewhere out there, there is a ideal position for you. But it is not just a matter of skills and interests. You also have to consider where you want to be located and what type of lifestyle you wish to pursue. You need to know what type of people you would enjoy working with, and what type of people and working conditions you might find intolerable. Strategy refers to your ability to conduct the career development and job search process with a plan, and in a proactive and systematic fashion. What you will learn is that the fundamental strategy for finding a job involves the simple act of gathering career information. You have probably heard it said a thousand times that most job openings are never posted or advertised. You’ve heard it said that people find jobs primarily through their contacts. This is essentially true, and this insight is the key to your job search strategy. It is not the case, however, that you can count on finding a job just because you know people, or because you have good luck. What it means is that you need to get to know people, and to learn what they know, and to organize your luck. You will need to talk to people about what they do, and to ask them for the names of other people you can speak to. It is much easier to speak with someone about what they do, rather than why they should hire you. And every time you speak with someone and ask them whom else you might speak with, you will be amplifying your list of contacts. You will also be gaining invaluable information about what you really want to do and about those who are most likely to hire you. The more people you speak with, the more likely it is that you will find that perfect situation. The more contacts you make, the better the chances are that someone in a position to make a hiring decision will make the decision to hire you. The basic strategy involves getting to know all that you can, and getting yourself known to the people who can make it happen for you. This does not mean that you will ignore employment advertisements or jobs that are posted online. You may get lucky and find a position that is listed somewhere, a job that is perfect for you and for which you are exactly the right candidate. But simply looking at the want ads, submitting applications and hoping that lightning will strike is not the way that the serious job seeker goes about the task. 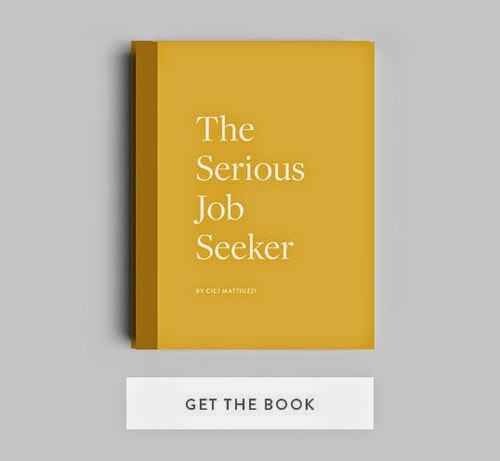 The serious job seeker will in fact look at the want ads and submit applications, but will always keep in mind that this is not enough. 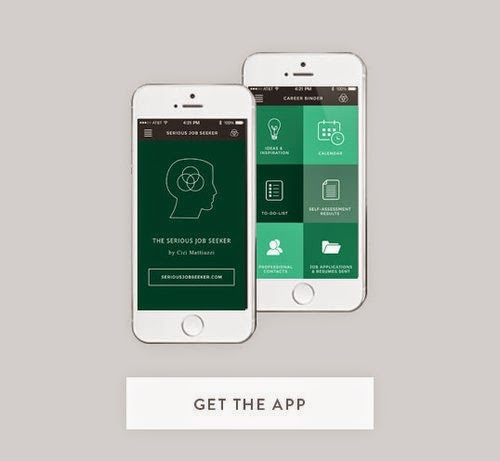 Presentation refers to your ability to look your best in person, on paper and on the phone. 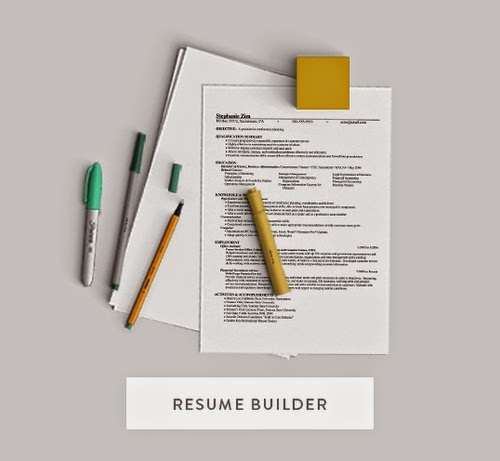 Presentation is about what you put on your resume and how you organize and format it. It’s also about interview skills: knowing how to prepare, knowing what questions to ask and knowing what questions you need to be ready to answer. Presentation is about thank you letters and letters of reference, and in the end, it’s about salary negotiation strategies. When you start working on your presentation, you will understand why all of the self-assessment exercises were important. If you skip over the self-assessment, you are not going to be able to put your best foot forward on your resume or application. You won’t be prepared to describe your skills in a way that will make an employer take notice. You won’t be prepared to explain why you are a good fit for the job, why you are motivated to perform and how you can contribute. In an interview, a potential employer will probably ask questions that have little to do with the job and a lot to do with getting to know you as a person. You need to be prepared to present yourself in a favorable light, and you can’t do that if you haven’t gone through the process of sorting out who you really are. And when it comes down to that last and final step of negotiating a salary, you have to be able to present a good argument as to why you are worth the extra money you are going to be asking for. • You will need to gather a fair amount of information and keep it organized at every stage in the process. • You will need to research the world-of-work and develop an awareness of what’s going on in that world. • You need to focus on knowing who you are by conducting a careful self-assessment of your skills and interests. • You will need to develop and implement an effective job search strategy, do it correctly and avoid mistakes. Getting Organized with Your Career Binder ... absolutely essential!